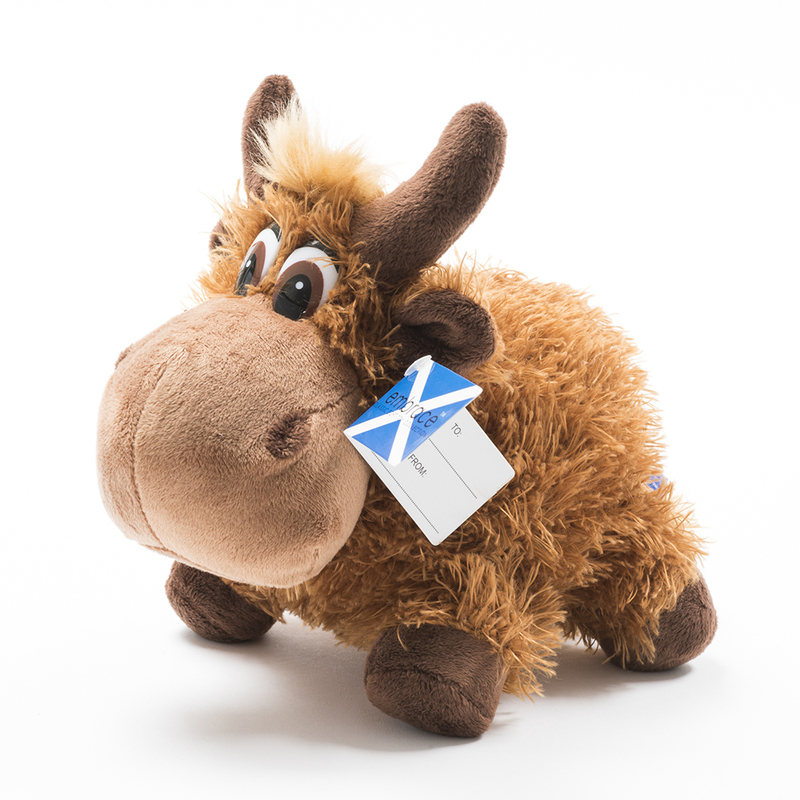 Highland cattle are instantly recognizable by their long, curved horns and shaggy coat. 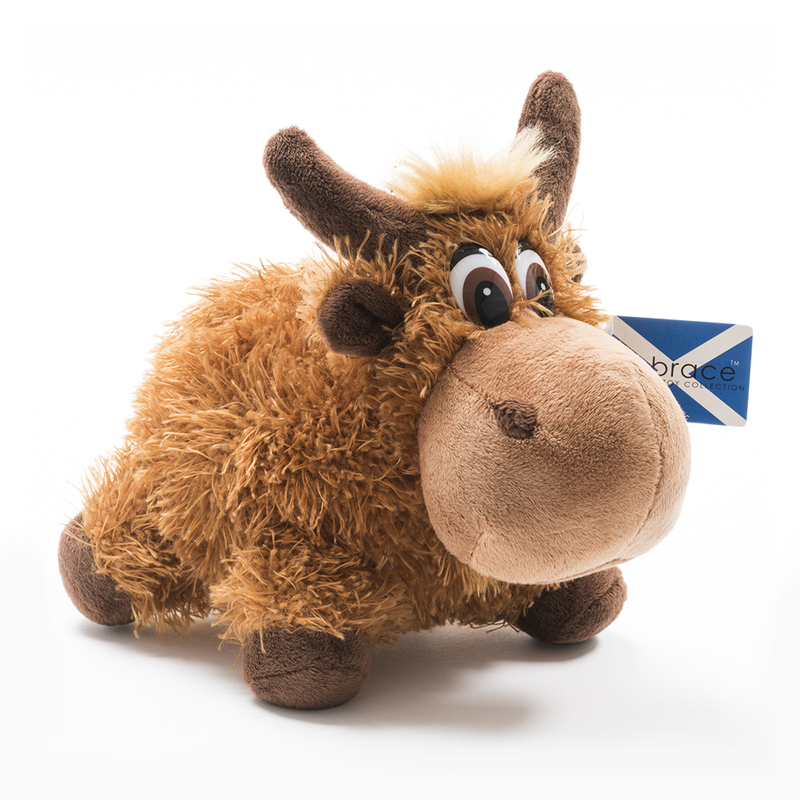 This cute Coo will definitely bring back memories of Scotland for those far from home. 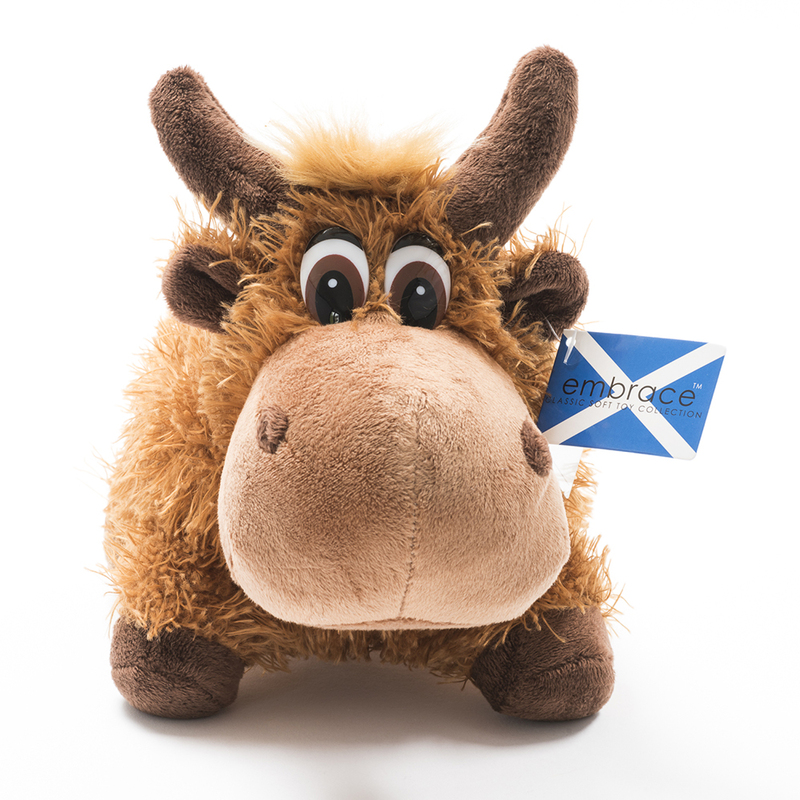 Handmade using the finest tactile materials, they will love this to bits!